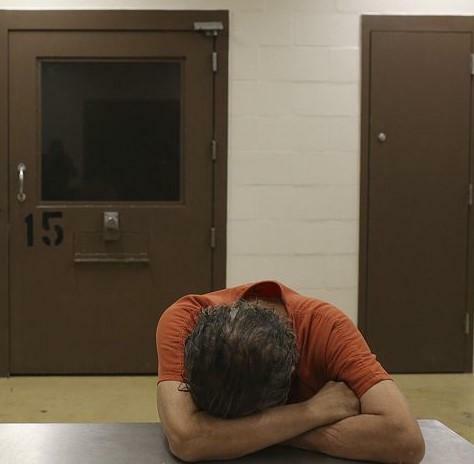 A Mexican immigrant, who was being held at the Bexar County Jail, is suing the sheriff. He claims his federal rights were violated because he was held for a long time without being officially charged. The case raises questions on the authority local law enforcement has in detaining immigrants who have entered the country illegally. The door to the central booking unit at the Bexar County Jail slides across the floor slowly and then quickly slams shut once someone being detained makes it across the threshold. That’s what 36-year-old Julio Trujillo experienced when he was booked into the jail on a misdemeanor assault charge in January. Trujillo is a Mexican immigrant, who after serving some time in jail had his charges dropped. Federal Immigration and Customs officials, who routinely examine the jail’s inmate database, asked Bexar County to hold Trujillo for a potential immigration violation just before his release. It’s an agreement set up between local sheriffs' departments and the federal agency that generally is for two days. But Trujillo’s Attorney Lance Curtright says his client was held in the Bexar County Jail for more than two and half months without probable cause, a warrant or a federal judge’s order. “So from March 24th of 2016 until June of 2016, he was left to languish in the county jail without a bond, without any judicial review, without any access to due process to law whatsoever. You can’t hold someone without giving them just basic process of law, including the right to see a judge, including the right to request bail," Curtright explains. Curtright specializes in immigration law. He says while the system is supposed to flag immigrants wanted for pending felony criminal investigations, often it is that the person being detained is simply suspected of being in the country illegally. “A lot of these individuals don’t have any criminal warrants on them whatsoever. The thing about the ICE hold is, and I think this is important for people to understand, is that ICE deportation proceedings are not criminal events, these are civil proceedings," Curtright says. Curtright says Trujillo is aiming for a federal judge to permanently ban the use of these federal immigration detainers by ICE agents, which would impact county jails all across the nation. Bexar County Sheriff Susan Pamerleau says part of their process for booking someone in the jail is called the Priority Enforcement Program. It’s a federal agreement that she says was set up to stop the unlawful detention of immigrants suspected of being in the country illegally. “We don’t ask them about their immigration status when we take them into custody unless we have probable cause to do so, unless it is important to the investigation of the crime they committed," Pamerleau says. She argues that the current system for detaining illegal immigrants at the jail is broken. She says immigrants that have committed something like misdemeanor assault are released from jail and often re-arrested on more serious charges months later. 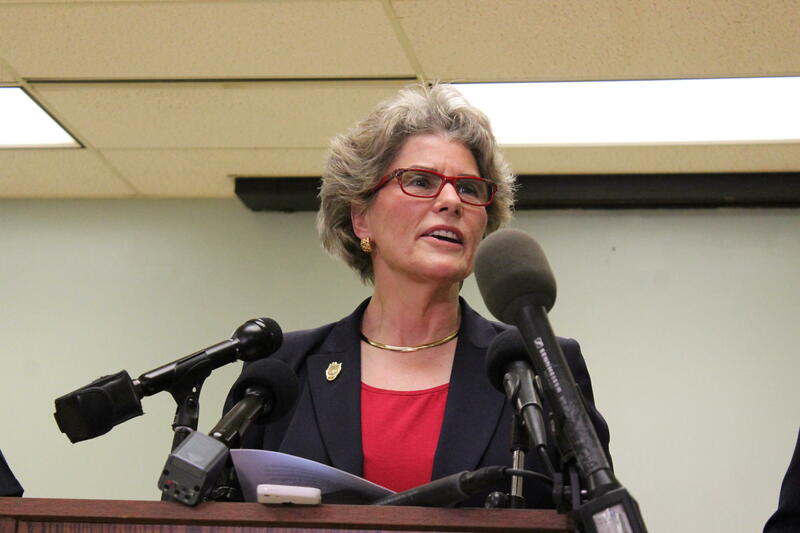 “There’s examples of people who committed previous crimes, even as serious as a Class A misdemeanor, yet were not detained by ICE, and then they come back and commit more crimes including murder, when if they were detained and, hopefully, deported they would not have committed additional crimes," Pamerleau says. Pamerleau says she’s willing to hold anyone who has been booked into the jail on criminal charges and is possibly in the country illegally as long as requested by ICE. Curtright says in other metropolitan areas, county sheriffs have also been sued for holding an immigrant without a warrant, but those cases involved holding a person a maximum of 48 hours- not for the months Trujillo was held. The Dallas County Sheriff and a candidate for sheriff in Travis County have hinted at kicking ICE agents out of the jails and not honoring these federal immigration detainers. Gov. Greg Abbott has met those threats with a promise to strip any sheriff of their state law enforcement grants for not honoring these immigration detainers within the county jails. The Texas Tribune is taking a yearlong look at the issues of border security and immigration, reporting on the reality and rhetoric around these topics.